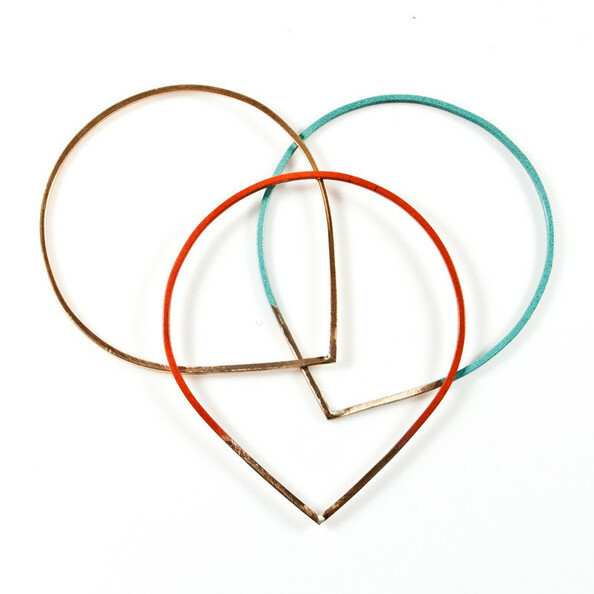 Raindrop Bangle 3-Pack Colors, $36/set. Photos courtesy of Baleen. I have a thing for colorful geometry. I love how modern lines are made playful in bold hues. 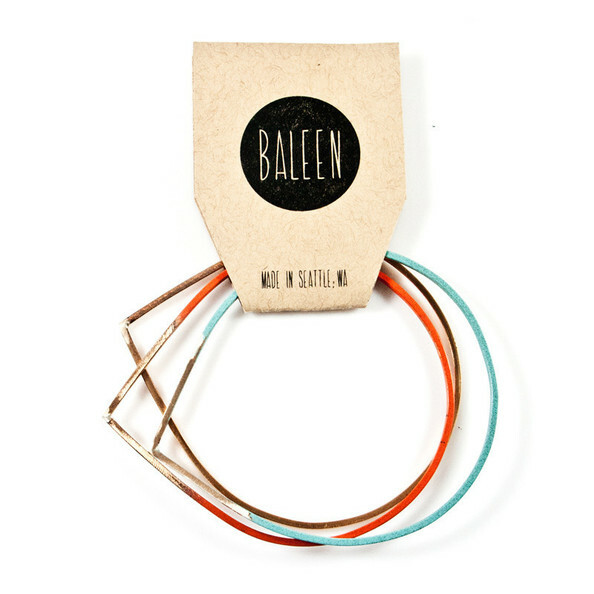 Thoughtfully designed and hand-formed in Seattle, these raindrop bangles by Baleen are brass wire colored with a powder-coated finish. At $36 a set, these beauties are priced to wear and debunk the myth that "handmade" and "artisan" implies "costly" and "elite". Dear Baleen designers Leah Lawrence and Billy Bartels, our jewelry boxes thank you.